Providing Illinois Valley patients with effective periodontal disease treatments to get healthier gums and smile. Periodontal disease isn’t something to laugh about and if not taken care of can lead to tooth loss and other health issues. If you’ve noticed bleeding gums, swollen gums, bad breath, tooth mobility or receding gum lines, then you might have periodontal disease. Periodontal disease usually starts with the gums, but if it goes unchecked it can involve the roots and even the jaw bones. The tooth becomes loose and eventually can lead to decay and extraction. It’s the bacteria in dental plaque that causes periodontal disease. Many times the plaque not only resides on the surface of your teeth but can also be deposited beneath the gums. A standard teeth cleaning may sound like a mundane thing, but it serves an important purpose. In addition to cleaning your teeth and giving your mouth that fresh feeling, it allows the dentist to see your teeth. There are many periodontal problems that people either don’t know about or ignore until it becomes an emergency. These problems only hasten with age. If a dentist can see your teeth and gums, then he can see all the problems as they form and have them corrected. A deep and thorough cleaning is necessary to remove this plaque and help prevent or eliminate the disease, but if the plaque is rooted beneath the gum then surgery may be needed. Periodontal disease has been linked to other health problems as well including heart disease, stroke, diabetes and respiratory disease. 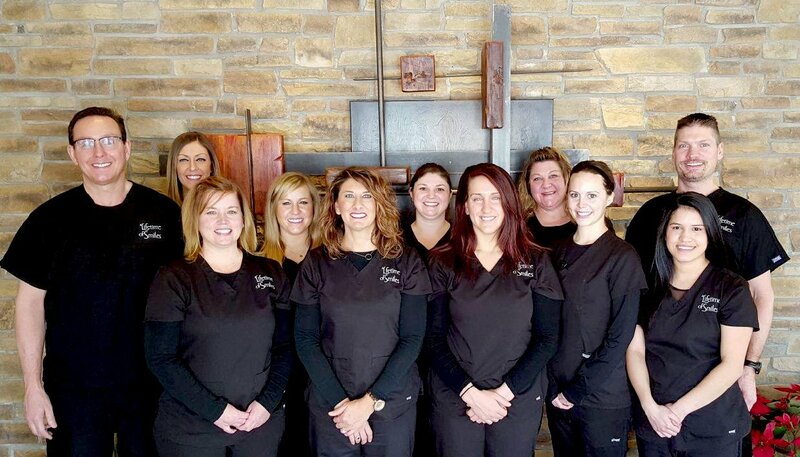 Dr. Ed Monroe is fully trained in various treatments of periodontal disease. 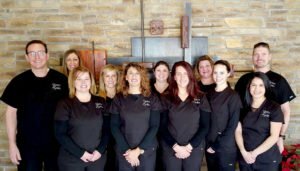 He and the staff at A Lifetime of Smiles in LaSalle, Illinois or Princeton, Illinois will start with a general examination to understand more about which level of treatment will be best for your particular needs. You can ask questions and discuss your options thoroughly. The first step to pushing back on periodontal disease is to call and schedule your appointment. Our friendly staff at either office will answer your call and take down your information and pick a date and time that works for your schedule. Contact us today and let’s get your smile healthy again!